They say you can’t go back again to the babyface of your youth—but that’s not true when it comes to ageing. There are many natural ways to not only prevent the signs of ageing, but actually reverse the damage your body has already sustained. From free home remedies to some very simple ways of tackling ageing, find out how you can turn back time and enjoy a healthier, more youthful appearance. 1. Start eating a diet of local, seasonal, organic foods. You are what you eat, and, unfortunately, many people are consuming foods that are processed and full of harmful chemicals. It may seem challenging—and at times impossible—to eat a healthy diet. After all, with mass chemical spraying and processing, how do you really know what you’re putting in your body? 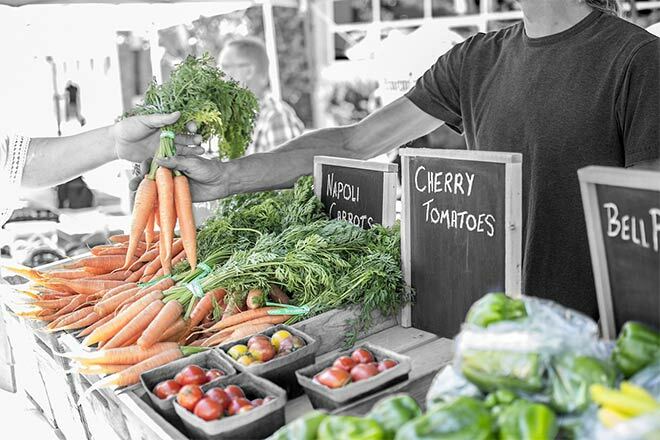 Shop at local farms and markets where you can actually meet the growers and understand the source of your food. 2. Stop drug and alcohol use and abuse. Even if you’re “just” a social drinker or indulge in recreational drugs occasionally, it can take a toll on your body. Beyond what alcohol does to your inner body, it can cause premature wrinkles, redness, puffiness, and a loss of collagen and elasticity. You can find help by reaching out to qualified, trusted sources today. Although reversing the ageing process is a great perk of stopping drinking and drugs, it’s still one of the least important outcomes of getting help. 3. Begin a sunscreen regimen. You may have heard that it takes years for the full signs of sun damage to occur, and that’s often true. However, sun damage remains one of the biggest causes of premature ageing and starting a regimen at any time in your life is going to kickstart the reverse ageing process. Unfortunately, it’s a bit contraindicative. Many people tan because they think it makes them look younger and slimmer. However, you can achieve those same effects with natural tanning products without risking skin cancer, sun damage, sun spots, and premature wrinkles. Choose a natural sunscreen without toxic chemicals that are harmful to the environment. Many hard working people are chronically fatigued and don’t get enough sleep. Some consider it a badge of honour to “only” get a small amount of sleep. Lack of sleep negatively impacts every part of your life, including the ageing process. Those who don’t get enough sleep look it, and that includes looking older. Try going to bed earlier and figure out how many hours you need in order to wake up without an alarm (it’s different for everyone). Good sleep hygiene, such as creating a relaxing ritual and avoiding screen time at least two hours before bed, can help you fall asleep and stay asleep. Laughter can cure many things, including a sped-up ageing process—forget worrying about smile lines (frown lines are so much worse). Those who laugh more not only look younger, but they feel younger. Seek out joy, whether it’s from a funny podcast that you listen to during your commute or prioritizing spending more time with those you love. Be the person who instigates game night, or spend more time seeking out humorous movies instead of your go-to dramas. It turns out that laughter really is the best medicine. As long as you slather on the sunscreen before heading outside (even when it’s cloudy), fresh air can work wonders. Try your hand at forest bathing, which entails mindful walks in the woods without having technology at the ready. Fresh air, the crunch of the earth under your feet, and a break from screens and technology will invigorate you and make you feel connected to both your inner self and the world around you. It’s a form of meditation and yoga, but without the need for a structured class. Who knew turning back the hands of time was so easy, and often free? Our bodies are equipped with everything we need for a healthier, happier, “younger” life. It just requires tapping into the resources at hand. There are some really good tips I want to try to incorporate into my life Especially the laughing more one.